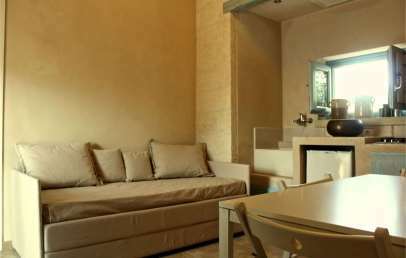 A charming hotel set deep in the Salento countryside within the confines of the Castello di Fulcignano archaeological park. 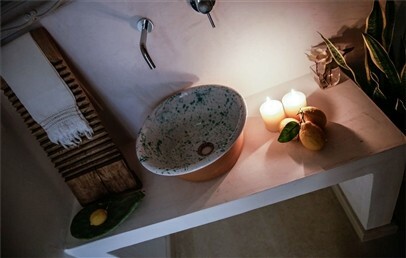 Masseria Fulcignano is 15 km from Gallipoli, 8 km from the Marina in Santa Maria al Bagno, and 32 km from Lecce. 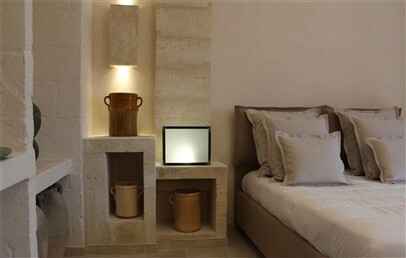 Traditional Salento design, surrounded by centuries-old olive trees and dry-stone walls that enhance the harmonious fusion of modernity and tradition. A melange of elegance and rusticity; a contemporary spirit living within ancient walls rich in history, encounters, life experiences. Masseria Fulcignano has a central plaza and outdoor courtyard surrounded by olive trees and Mediterranean plants, as well as a 300 sqm terrace with a view stretching out over the countryside as far as the eye can see. 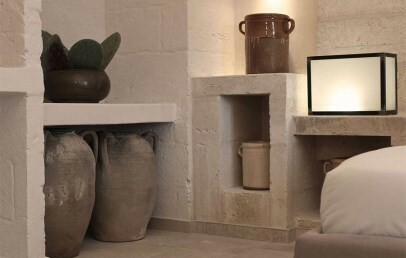 The clever use of natural and environmentally-friendly materials, as well as the respect of the environment and of the building’s rural setting, were the main themes followed during the renovation of the rooms at Masseria Fulcignano. 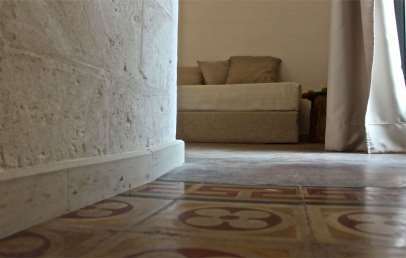 The 18 rooms are all located on the ground floor and offer free Wi-Fi connection and individual entrance. The closest beach to the hotel is Santa Maria al Bagno marina, 5 km away. Other stunning beaches in the area are: Porto Selvaggio (Nardò), Baia dei Turchi, le Maldive, Porto Cesareo, Seno della Purità and Baia Verde in Gallipoli, Torre dell’Orso, Porto Badisco. 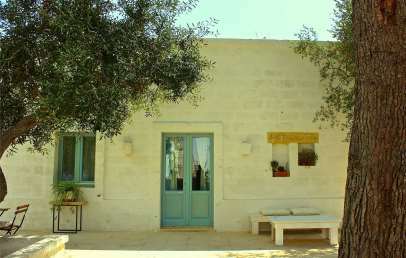 Masseria Fulcignano’s restaurant offers a typical cuisine, with genuine products. The restaurant serves traditional Apulian food with a particular emphasis on traditional rural recipes from the Salento region. A menu à-la-carte is available form April 25th to September 30st. The following activities are on offer in the local area: horse-riding, bicycle excursions, sailing excursions, tennis, water sports. Formerly the farmers' homes or old stables. The rooms have been fully renovated and offer a contemporary stone finish and some have a local stone fireplace and / or massive wood ceiling. Bathroom with shower. Some have a private patio. Separate from the main building, located in a former farmhouse. 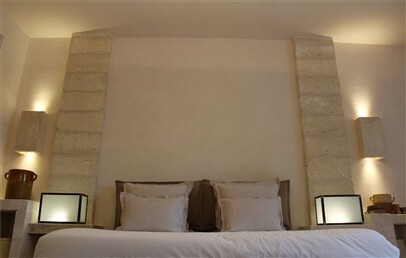 The Junior Suite offers a contemporary stone finish. 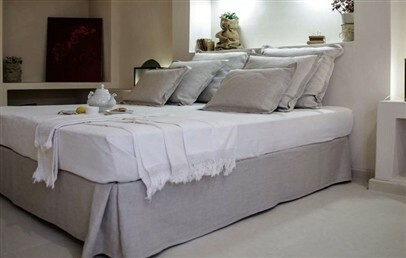 It has a bedroom with king-size bed and a living area with kitchen corner. Bathroom with shower. Occupation: 2 adults in double bed, possibility to add one or two beds (bunk bed) and one or two infant bed in the living zone. 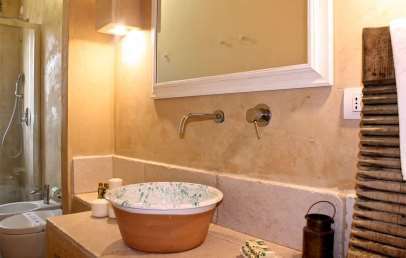 Formerly a farmhouse, the Suite offers a contemporary stone finish. 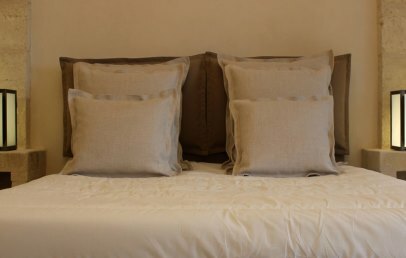 The suite has a bedroom with double bed, a second bedroom with a french bed + single bed in the living area. 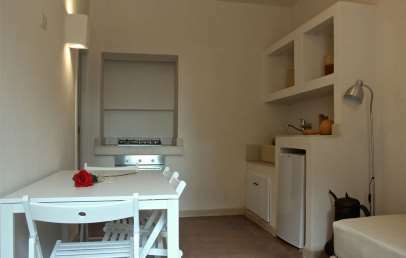 The bedrooms have separate entrances from both indoors and out, and share a living area with a kitchenette with oven. Formerly the farmers' homes or old stables. The rooms have been fully renovated and offer a contemporary stone finish and some have a local stone fireplace and / or massive wood ceiling. Bathroom with shower. Room occupancy max. 2 adults. Only for Charming customers: Fruit in the room upon arrival!